Happy National Tequila Day! 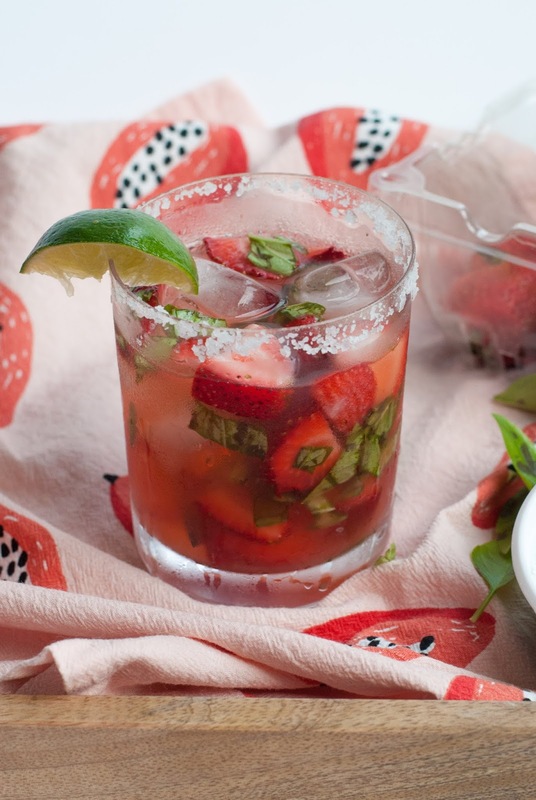 To celebrate, i'm sharing one of my go to margarita recipes. It is filled with fresh, seasonal ingredients that complement each other perfectly. I hope you enjoy! 1. Brush the lime wedge around your cocktail glass and then dip the glass into the margarita salt. Add ice to your cup. 2. Place ice cubes in your shaker. 3. Add in the tequila, triple sec, lime juice and skin, strawberries, basil and honey. 4. Give everything a good shake or until the strawberries start to break down a little more. 5. Strain mixture into your cocktail glass and then scoop out the basil and strawberries and add them to your glass. 6. 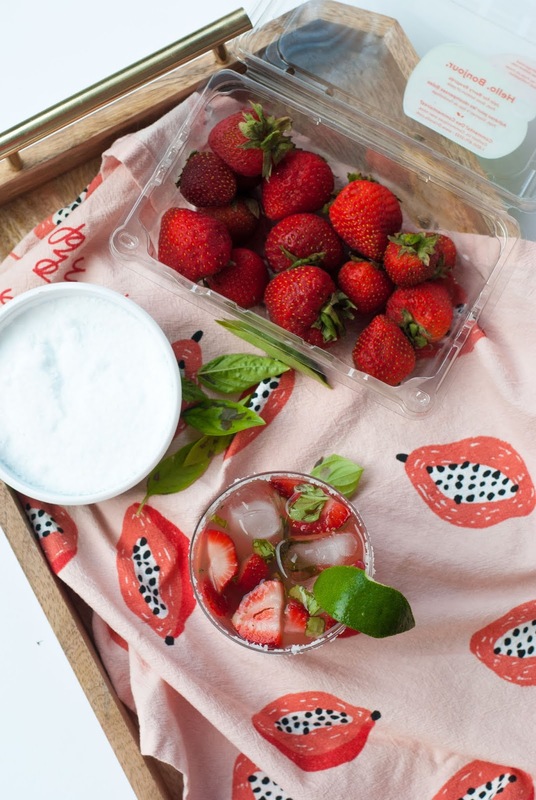 Add more strawberries and basil if desired. Garnish with a lime wedge and enjoy!